You're a pro. Now look like one on paper, too. Order pro quality business cards right here. Get 250 full-color cards printed and shipped to you for as little as $49. 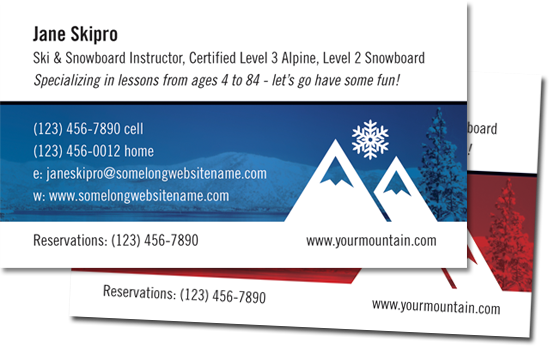 These are professionally printed, standard size business cards, printed on 14 point coated “card stock” with various places for personalization including title and certifications, tagline, email address, phone number, personal website, your school’s reservation line, school’s website, primary color (red or blue) or your specific organization’s card template (where applicable). If you are a member of an organization you can order divisional or organization specific business cards below. Some require a password to access. To obtain this password, get the details at your organization or division’s website. The active links below go to your organization’s website for member benefit details. From there you can access the ordering page, which links back to this website.